Need a hand deciding which steam iron to buy? We explain what you need to look for to find the right iron for your needs and budget. Considering that all irons are designed to do the same basic job, there is a staggering variety of models to choose from. From cheap no-frills options to pricier irons adorned with advanced steam-pumping technology and hi-tech soleplates. We've tested irons from every corner of the market to find out which models are worth your money. The good news is that our tests prove you don't necessarily have to spend a lot to get a great-quality model - and fancier features don't always mean quicker, easier ironing. Read on to find out more about what you should look for when choosing a steam iron. Want to know which model you should buy right now? 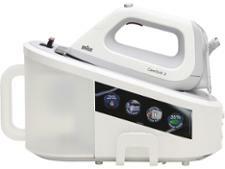 Take a look at our best steam irons. Not sure what type of iron you need? Our interactive tool will help you choose. How much should I expect to pay for an iron? You can buy a steam iron fairly cheaply these days. Prices for basic models start at less than £10 and go up to more than £100 for top-of-the-range ones. Our tough tests have uncovered fantastic Best Buy models for less than £30. But we've found there are also a lot of dud models at the cheaper end of the market, too. So you need to use our steam iron reviews and shop carefully. Are steam generator irons better? A steam generator iron will belt out lots more steam for you to work with, but the extra steam power comes at a price – a premium steam generator iron could set you back more than £300. We've also come across premium irons which have an internal pump for pumping out pressurised steam, giving you extra oomph to get through tough creases. They can be a good compromise if you don’t have the space or budget for a full-on steam generator. These premium irons tend to be bulky and expensive compared with traditional irons though. 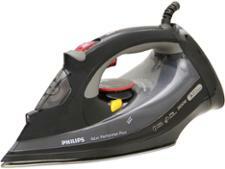 And we've found some traditional irons that can deliver just as much steam power. You can find out whether a steam generator is right for you - go to our steam generator guide. Which steam iron features should I look out for? 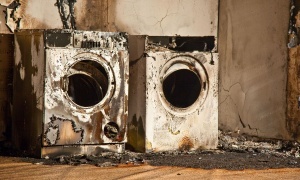 It's worth checking whether an iron has a scale filter before you buy it. The amount of steam your iron produces can be severely hampered by the build-up of limescale over time. Most irons come with a built-in limescale filter, but some don't - our tests show that these scale up really quickly. 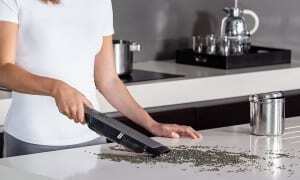 Make sure your iron also has a self-cleaning system to help you get rid of any limescale that does form. A self-cleaning system should make descaling quick and easy, but we’ve found that some require a lot of time and effort – such as soaking the filter in lemon juice once a month. So make sure you check our reviews before you buy. Some handles can rub uncomfortably after you've been ironing for a while. The best handles are soft or smooth to grip and not too wide so you can hold them comfortably. Check that the handle doesn't have hard ridges or seams in the plastic that could dig into your palm. Look for a thin soleplate that tapers at the nose, as these are easy to slide under buttons and into tight pleats. Chunky soleplates tend to snag on buttons and zips. Choose an iron with a light-coloured or transparent water tank as it can be difficult to see the water level on dark tanks. Look for a wide filler hole, as this makes it easier to fill. Also check it has clearly marked maximum fill markings – otherwise you'll end up with water glugging back out when you're filling it. Irons with this feature will switch off automatically if they're not used for a while. This is a useful safety feature. It will give you peace of mind if you've ever worried whether you've forgotten to switch off the iron. A long power cord will make it easier to move up and down the board while ironing and give you more freedom over where you position your ironing board – great if you like to watch the TV while ironing. The average power cord is 2 metres long, but they can go up to 3.2 metres. Cordless irons do away with the power cord altogether. However, some can lose heat quickly, which means you’ll have to keep putting them back on the baseplate to reheat. If you want to store your iron away between uses, check if it has a compartment or clip to keep the power cord tidy and secure. What are the key steam iron brands? 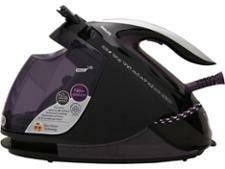 You'll also find own-brand steam iron models available from big supermarkets, such as Asda, Sainsbury's and Tesco. 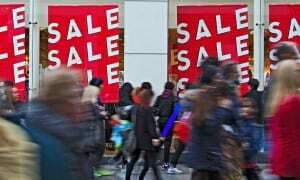 Plus stores including Argos and John Lewis. You can find out more about the models on offer from these brands - go to the best iron brands.